SpinningTop is an independent, not-for profit organisation which exists to give balance to vulnerable children whose lives have been thrown off balance through war, oppression, natural disaster and circumstances beyond their control. SpinningTop is The Body Shop New Zealand’s charity of choice and it has been the charity’s principal supporter since its inception in 2006. SpinningTop’s mission is to help empower vulnerable children to becoming contributing members of society, free from poverty. This is achievable given the right balance of education, nutrition, shelter and play. The charity believes all children have the right to an Education for their future, Nutrition for health, Shelter for warmth and safety and we must not forget, Play to allow them to be the kids that they are. SpinningTop began in 2006 as Children on the Edge NZ, a branch of Children on the Edge UK, which was founded by the late, great Dame Anita Roddick in 1990. In 2011 Children on the Edge NZ became SpinningTop, an independent organisation concentrating its efforts on vulnerable children in Asia and the Pacific. The Body Shop NZ supports the charity by meeting its salary and office costs as well as positioning some SpinningTop items for sale through its 28 New Zealand stores. This support means that nearly 100% of all profit goes directly to helping children who need it the most. “These bright purses, proudly sold in The Body Shop NZ stores, are hand-woven by women living in a Social Action for Women shelter in Thailand and is an important source of income for them.” Rachelle Ehlert, Co-Manager, SpinningTop. With amazing support from The Body Shop, its customers and other donors SpinningTop is achieving great things for many vulnerable children in our region. View their current projects here. Using this online tool, the team at Million Metres connects everyday New Zealanders wanting clean rivers and lakes with the projects seeking funds to do the work that will clean up our rivers and lakes. Million Metres enables people to fund the planting of the edges of their local river, stream, lake, wetland, or estuary. Each stream planting project that lists with Million Metres works with a Field Planter, an organisation that has experience and expertise in waterway planting. Crowdfunding with Million Metres makes each stream planting project part of a much bigger story. Together with other projects, they become part of our collective story to replant one million metres of New Zealand's waterways. Meaning that together, we are tackling one of New Zealand's most pressing environmental problems - water pollution. Million Metres has been operational for two years, and in that time, has listed 15 projects around New Zealand, and has crowdfunded over 15,000 metres (15 kilometres) of stream planting. Million Metres projects have planted over 50,000 trees. Oxfam works with local in-country partners to ensure that we are able to give a hand up, not a hand out - we know that this will truly lead to long-term sustainable change. Our partners know the local culture, traditions and needs of the communities we work in, whilst we can offer the technical expertise and management knowledge needed for these projects to succeed. With all of our projects, we ensure that the local people have input and take ownership of the project (for example, where possible, we use local materials and local manpower) which leads to sustainable change. Oxfam’s vision is a just world without poverty. Our purpose is to help create lasting solutions to the injustice of poverty. We believe that everyone has a right to realise their potential, and to have the opportunity to live free of poverty in a secure and more equitable world. People have basic rights: a right to life and security; to a sustainable livelihood; to be heard; and to have access to basic social services. Oxfam New Zealand focuses on helping communities in the Pacific and Southeast Asia. Thank you so much to everyone who added their voice to the call on Governments and regulators around the world to make cosmetics cruelty-free. 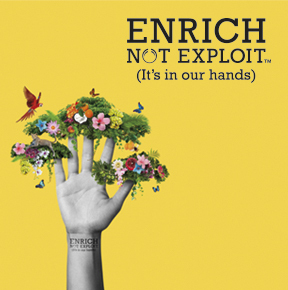 Our pledge rolled out in The Body Shop® stores in over 65 countries across the world in 2012 and 2013, making it the largest and most ambitious campaign seeking a global ban on cosmetics testing on animals. Since 1932 SAFE has been New Zealand's leading animal protection organisation, defending animals against cruelty and abuse. With the help of the New Zealand public and some cosmetic companies, SAFE achieved a ban on cosmetic animal testing in New Zealand, and an import ban on products tested on animals. Look Good Feel Better is the only worldwide cancer support charity, providing practical support for women struggling with the side effects from cancer treatment. Finding out you have cancer can be daunting and life-changing and the added stress of the appearance related side effects of treatment can be demoralising and very hard to cope with. This can have serious consequences on self-esteem and confidence at a time when a positive attitude is very important. At Look Good Feel Better we’ve been supporting women, teens and men with cancer for over 24 years. Our workshops help people with cancer improve the way they look, letting them face the world with more confidence, strength and positivity. Many beneficiaries tell us that Look Good Feel Better helped them regain a sense of control and normality at a time when diagnosis and treatment can make everything feel overwhelming. The emphasis in all our workshops is to relax and have fun. It’s a chance to do something practical, pro-active and positive and to meet people in a similar situation. At the end of a workshop we want everyone to leave feeling radiant, confident – and with a smile on their face. Look Good Feel Better is the only charity which focuses on the problems associated with the visible side effects of cancer treatment and how hard loss of hair, eyebrows, eyelashes and other skin related issues can be to cope with. All these issues come on top of diagnosis and treatment and can be overlooked by very busy medical professionals. Over the past 24 years our services have helped nearly 35,000 women in New Zealand – we have boosted their confidence, helped them regain a sense of control over their lives, given them something to look forward to and enabled them to look and feel more like their ‘normal’ selves. Our free service is all about bringing women together in a supportive, informative but fun way and the laughter that emanates from our workshops testifies to our success – friendships are made, women feel able to get on with their lives and tackle their treatment with renewed strength and they leave looking and feeling so much better. The support we give is free to anyone with any cancer in New Zealand. We rely entirely on donations, and the work of our volunteers to keep going. By helping Look Good Feel Better you help bring smiles to faces that have little to smile about.